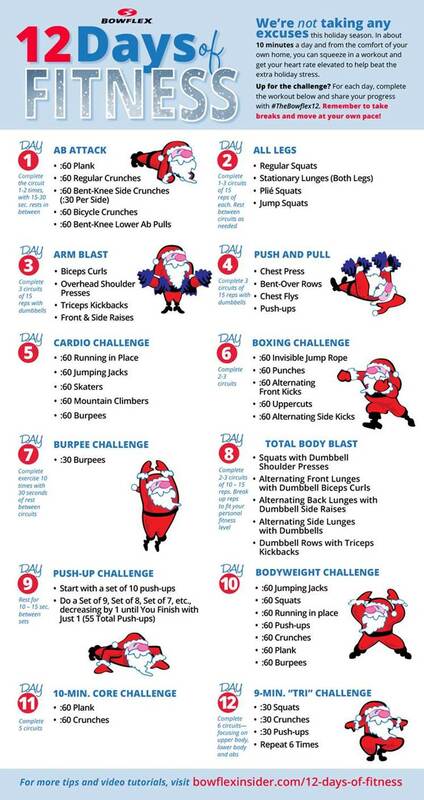 Stay in shape this holiday season by participating in the Bowflex 12 Days of Fitness challenge. These quick, 10-minute workouts can be done in the comfort of your own home to get your heart rate elevated to help beat holiday stress and work off those extra sweet treats. Complete one workout per day over the next 12 days and share your progress with #TheBowflex12. Take breaks and feel free to move at your own pace!